Create your own non-stop remixes and electronic compositions in an incredibly intuitive way. Simply drag and drop some loops, mix it up with a DJ-style mixer and add effects with Touch Pad control. Record your moves and export the performance as CD-ready audio files or to your SoundCloud account. Contains over 900 loops across major dance styles (Trance, Hip Hop, Dubstep, Ambient, Breakbeat, Drum ’n’ Bass, Minimal, Progressive House, and Reggaeton, etc). 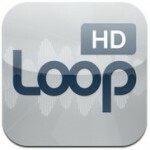 The loops on this app were produced by ipadloops.com’s resident producer Dj Puzzle. •Record your own loops using the built in microphone or headset. •Sync tempo/BPM wirelessly with other iOS apps on multiple iOS devices and/or a Mac running MIDI music apps like Live with NEW Core MIDI support. •Includes 13 realtime effects with X-Y touch pad control including Low, High and Band Pass Filtering, Notch Filter, Gate, Stutter Loop, Stutter Stepped, Stutter Gate, Bitcrusher, Flanger, Glitchy Repeater, Delay and NEW Reverb! •Automatically time-stretches all loops to fit the master tempo. •Triple-zone mixer: Crossfade between zones for cues and breakdowns, apply effects to any zone. •Unique Scratch Strip lets you retrigger a loop from anywhere in the waveform. 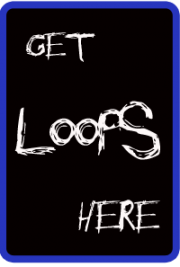 •Import/export your own loops in AIFF, WAV, or OGG format using an easy Web interface (Requires a Wi-Fi connection to a PC or Mac) or iTunes Shared Documents. •Capture and export your performances to Mac or PC as 16-bit stereo AIFF files. •Import audio loops from compatible applications via Sonoma Wireworks AudioCopy and Paste. •Share your mix/remix/performance with the world via SoundCloud! •Tap Tempo and Nudge to change the Tempo on-the-fly. Looptastic HD is available for $0.99 for a limited time.